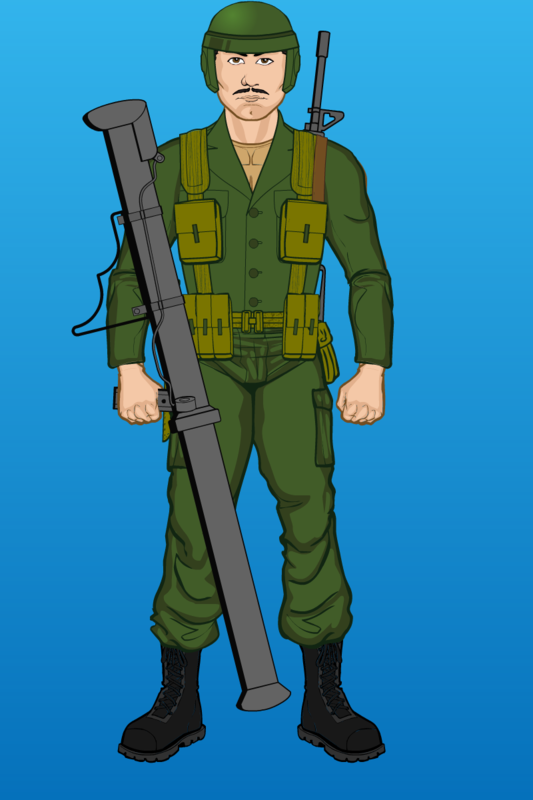 The second post featuring early Herb Trimpe concept art for the original G.I. Joe. Here we have Snake-Eyes, looking mysterious but with his face visible. Colors here have to be improvised, so I gave him an appropriately dark outfit, but didn’t go all black like the final version of the character. Months back, the G.I. Joe Museum Facebook page posted concept art of some of the original G.I. 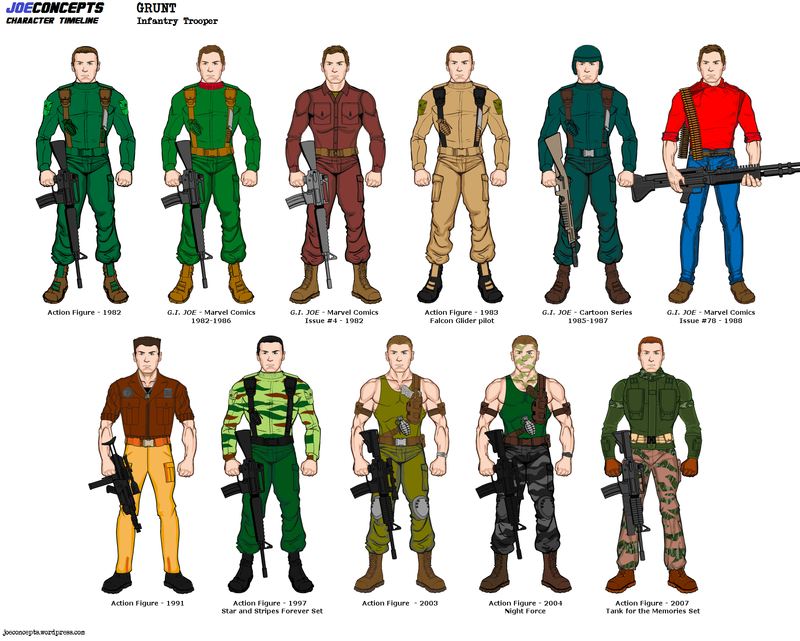 Joe characters as designed by Marvel’s first G.I. Joe artist, Herb Trimpe. CobraIsland.com also posted the images here on their site. It is interesting to see that some of these are very similar to what eventually appeared, but some are not. Many do not even resemble Hasbro’s eventual action figure designs. In my mind, these could be seen as young versions of the Joes at the very start of the team. Here we have Scarlett and Zap based off Trimpe’s concepts. 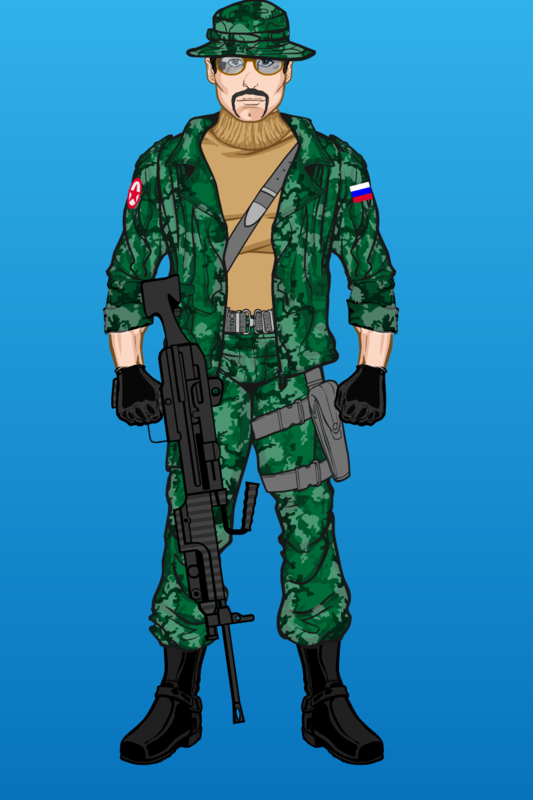 And finally, the last member of the Oktober Guard. Horror Show the Georgian is probably the most memorable of the team besides Daina, and was one of the most prominent in the original G.I. Joe cartoon series. He was designed here with an attempt to make him look bigger than the usual characters seen here. Continuing with the updated Oktober Guard, we have Dragonsky the flamethrower/mechanic who first showed up in the Guard’s second comic appearances. Then it’s Sgt. Misha, who was one of the new replacements years later. Both are Russians. Recent issues of Larry Hama’s G.I. Joe: A Real American Hero reintroduced Heather Collins, the daughter of Wade and sister of Sean who we first saw as a child. Despite being a civilian she proves to be a skilled hacker and a capable fighter. 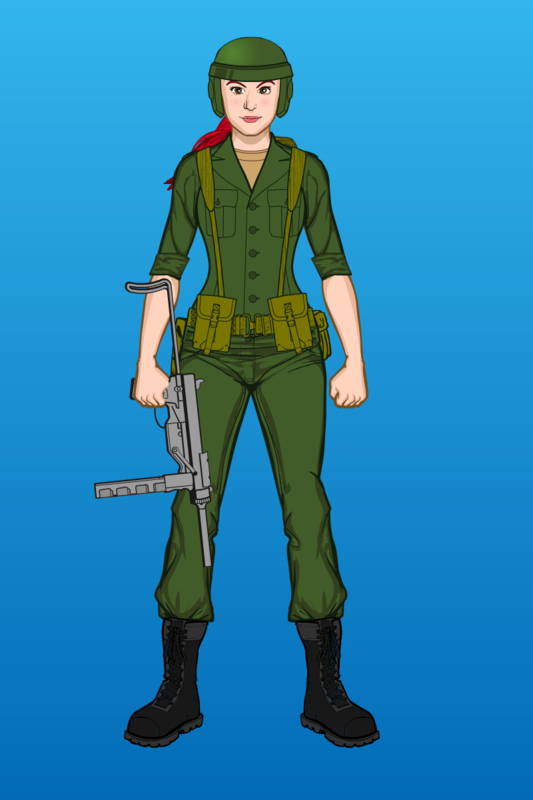 Here she is if she did join the Joes. 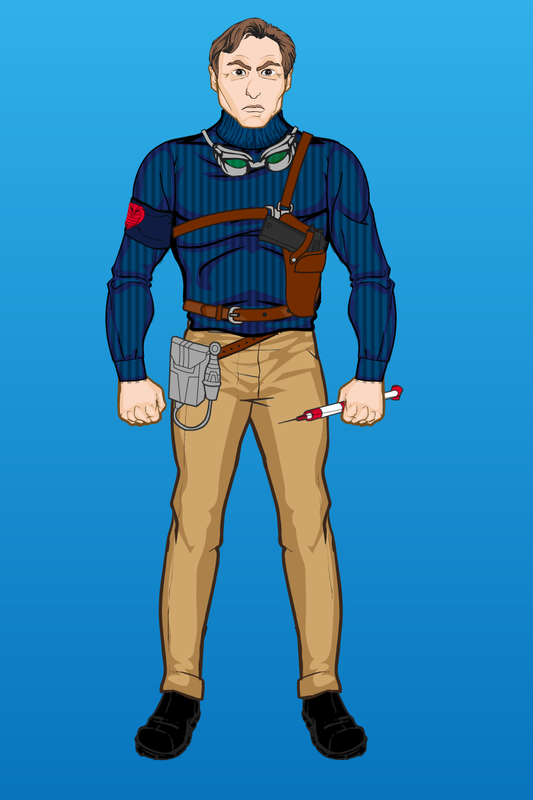 Here’s a new version of Dr. Venom, this time trying something other than the traditional “scientist in a lab coat” look. 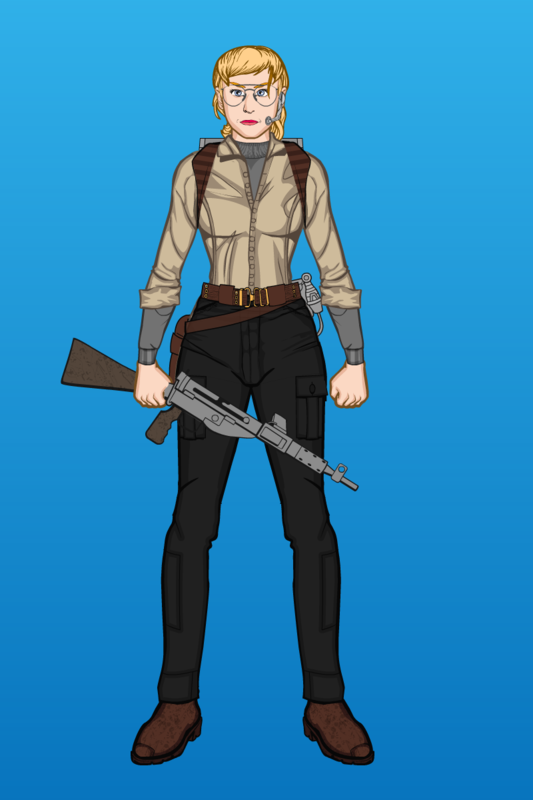 This has only been done twice before, once for Grunt, and a much longer one for Scarlett. 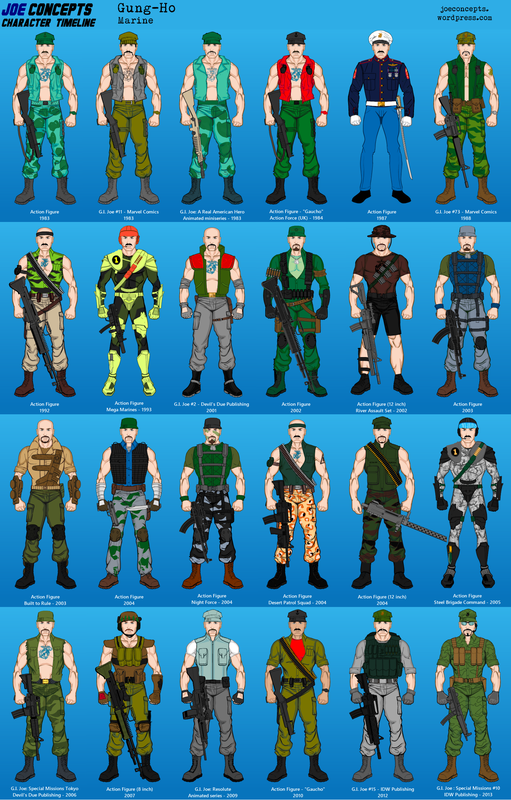 Gung-Ho‘s character design timeline includes 24 variations of the Cajun Marine, though a few simple repaints were left out. Obviously these take a long time to create, but hopefully you’ll see others now and then. 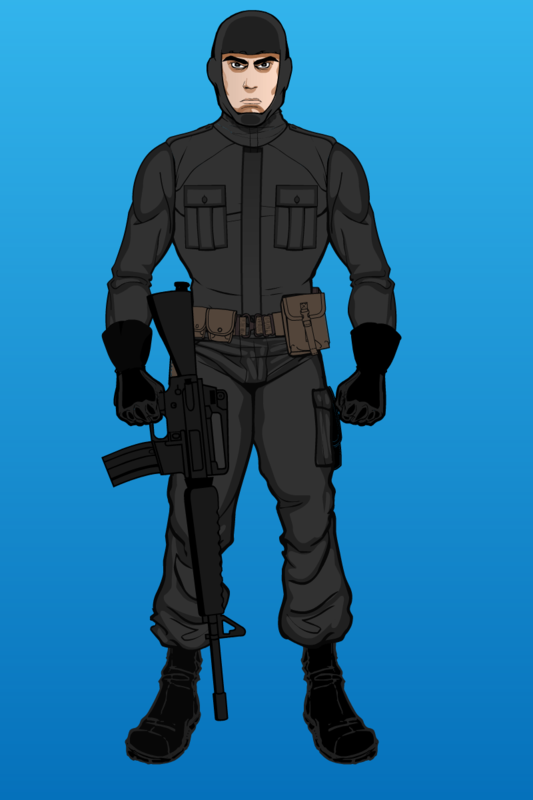 A character from the early days of Marvel’s G.I. 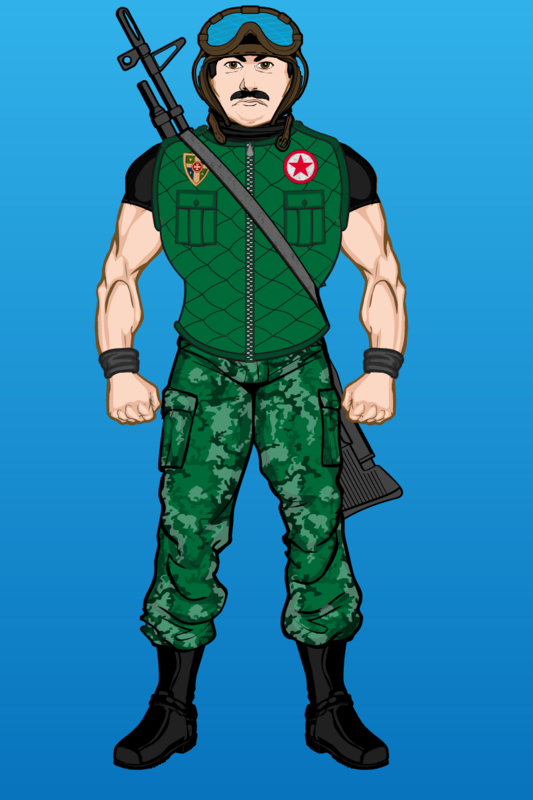 Joe, back when there weren’t yet many individual Cobra characters. 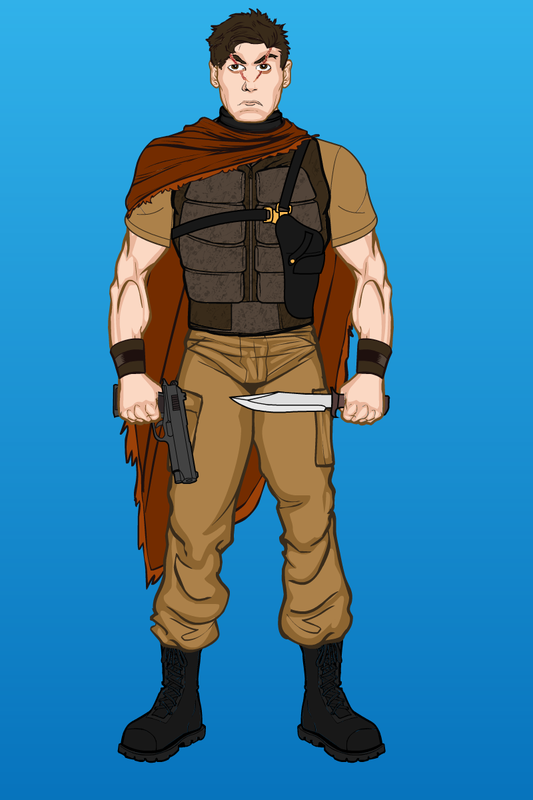 Scar-face was killed in the comic, but here’s an alternate version of him as a mercenary. Or maybe, as happens in comic books, he could turn out to be alive and come back for revenge on G.I. Joe and Cobra! Here’s a little experiment with something new on the site. While not including original concepts, this is a character design timeline for Grunt, with eleven different looks for the character over the years. With Grunt being a smaller profile character, just imagine how many looks for a character like Duke we could end up with. Opinions on whether this is a series that people may be interested in are greatly appreciated! 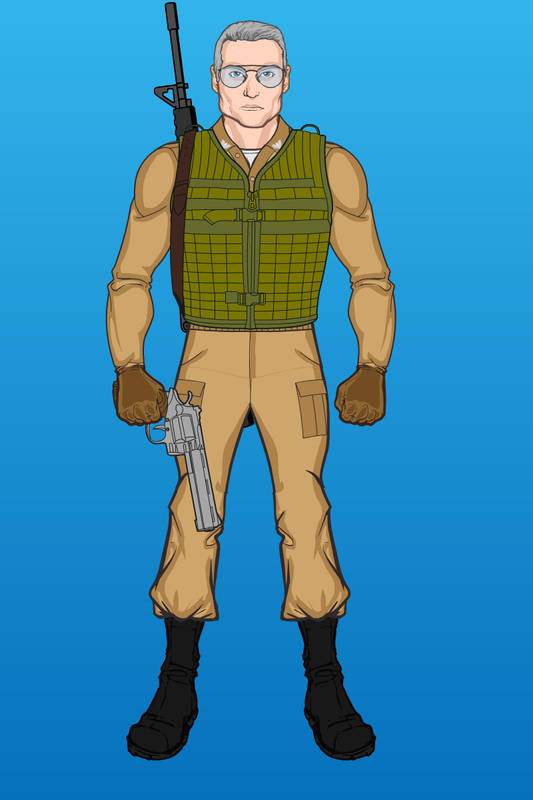 Following up on the cartoon redesigns, here is Colonel Sharp in combat gear. 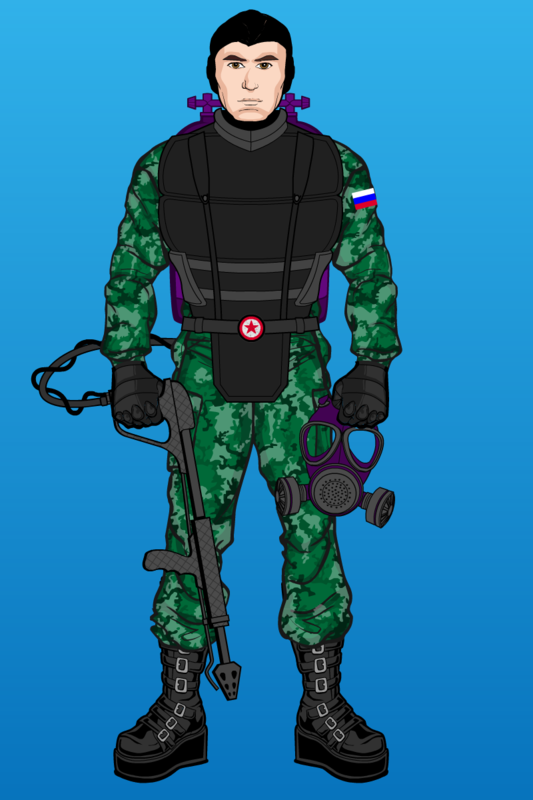 This could be Sharp’s makeshift uniform when he is forced back into the field during some emergency. Then we have the weirdly-named Dr. Biggles-Jones from the Scarlett undercover / Transformers: Generation 2 storyline. 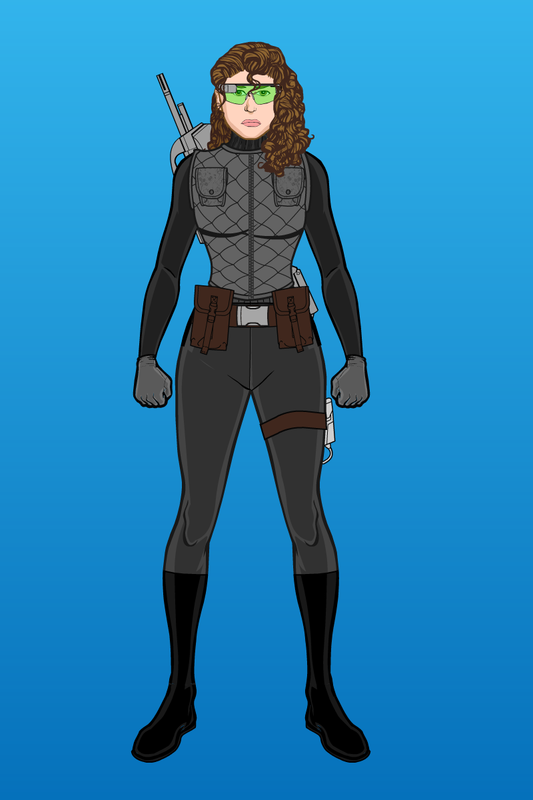 I see her as an experimental weapons expert if she had joined the Joes. Devil’s Due strangely killed her off-panel. Keep an eye out for more similar redesigns of obscure characters. Please add a comment if you have some thing nice or even not nice to say.